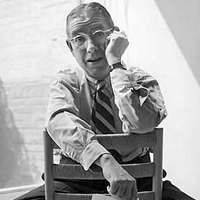 Ogden Nash was an American poet who suffered from crohn’s disease according to Wikipedia, his unfortunate demise was after a lactobacillus infection after eating poorly prepared coleslaw as the Wikipedia site states. Interesting quote about prune juice, do you get the feeling he detested prunes? Prunes might have resulted in symptoms for him – depending on his crohn’s disease. I can only speculate, but what do these dried fruits do for us? Should we in fact include them in our diet? 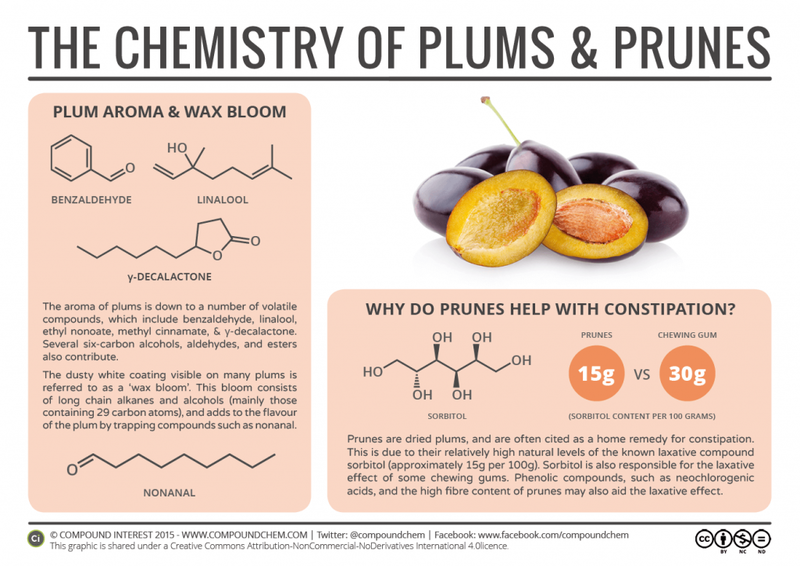 The following post by Compound Interest explains the chemistry behind the prune – or dried plum. Prunes do in fact improve constipation – but for some people at a cost – the reason they do is down, in part to the large amount of sorbitol and fructans they contain, these FODMAPs or fermentable sugars draw fluid into the small bowel and rapidly ferments in the large bowel. 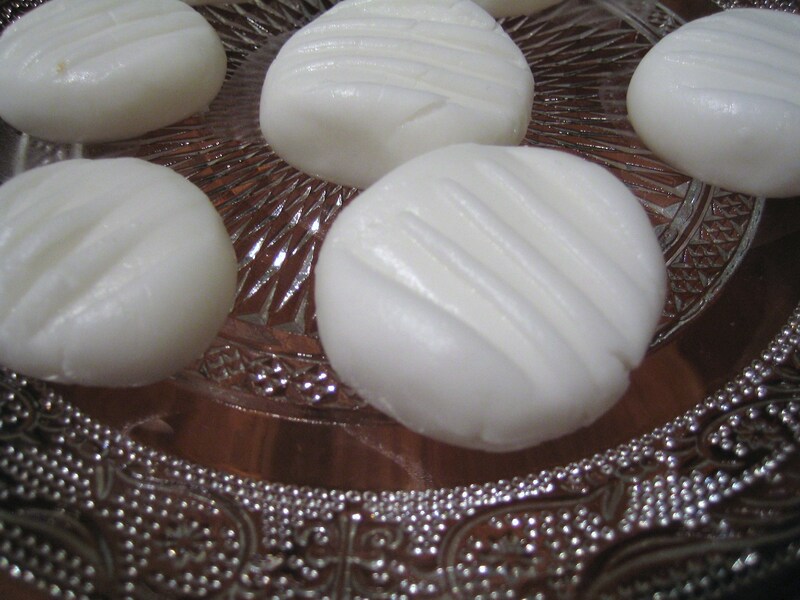 Sorbitol is also found in sugar free mints and gum – often a warning is given on these to avoid eating too much as a laxative effect may be the result. Not great if you have IBS and bloating and are intolerant to sorbitol. Prunes could also result in symptoms for people with active crohn’s disease too – perhaps that is the reason they are suggested by Nash to be a treatment to instill an avoidance of denigrating your mother! Or alternatively it might be just down to taste or personal preference. But to help constipation if you don’t suffer from IBS, bloating and excessive wind – they are worth a try – introduce them in your diet slowly so your bowel adjusts to the extra fibre they contain. These sugars can also have a pre-biotic (food for bacteria) action, so it is worth including some in your diet if you tolerate their effects! Chop gherkins, capers and parsley and mix with mayonnaise, salt and pepper to taste. Peel half of the potatoes and leave the others with peel on to add more fibre. Boil in salted water till soft, mash with pepper. Peel and chop turmeric and cook in the garlic flavoured oil with cumin. Add the chopped fish, cook very lightly. Using a ring fill with fish and potato mix. 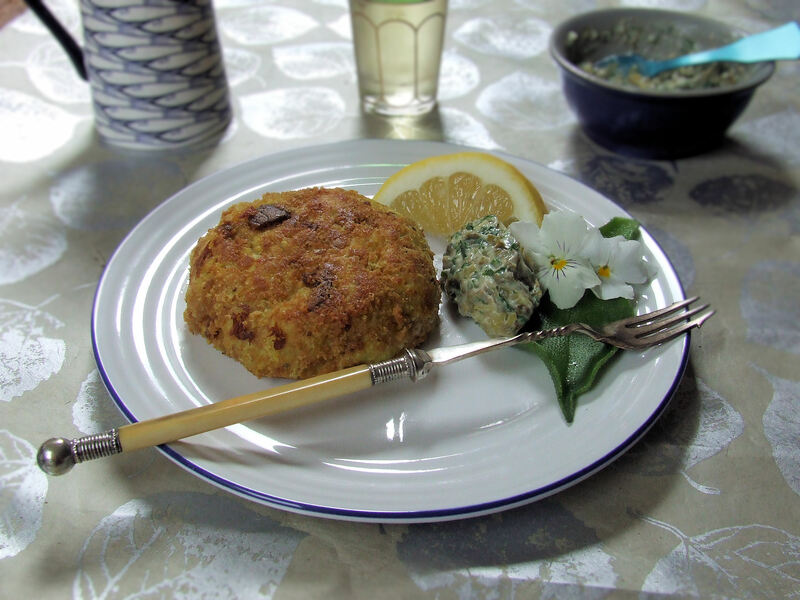 Coat each fish cake in egg then roll in breadcrumbs. Lightly fry with spray oil and then finish cooking in the oven. Will you sing this tonight on the strike of midnight, to being in the new year? Nina and all at IBS Impact http://www.ibsimpact.com/about_us.htm http://ibsimpact.wordpress.com/ for supporting the IBS community and driving some very interesting discussions. I hope the New Year brings all of my followers good luck, new opportunities and most of all a calm gut. It probably isn’t very good to be following the LOFFLEX diet d uring the festive season but crohn’s is no respecter of holidays and it may be that you have had to return to a very bland diet during the festive season. You can eat food during this time – here are some recipes I developed to help you to have at least a Christmas lunch, or you could use this recipe for thanksgiving too. Peel potato and wash with clean water. Cut into pieces and par boil in salted water for five minutes. Spray with a small amount of vegetable oil. Add sage and herbs to a cup; pour on water and leave to brew. Sieve herb liquor to remove solids and retain liquor. Weigh out rice crumbs and add herb liquor till a consistency of stuffing is achieved, add salt to taste. Place stuffing into a ramekins and flatten the surface, spray oil on the top. Put into an oven at gas mark 6/200 degree celsius for approximately 20 minutes or until the surface has browned. Use turkey stock – drain off the fat from the surface and thicken with rice flour. Cranberry sauce with no alcohol added – sieve out skin and seeds. Slice the pear and add to two ramekins. Cook in the oven for 15 minutes gas mark 6/200°C – take care when serving as it can be very hot! Serve with soya custard. Christmas can be a difficult time if you have restrictions on your diet, so try to keep focused and think of some treats that are not food related, such as going to see a movie at the cinema, watching your local football team on boxing day, going to see a play or pantomime or inviting friends round to watch a Christmas DVD. Keep well hydrated and if you experience severe symptoms seek help from your healthcare provider. Everyones intolerances can be different so if you have noticed that some of the ingredients in the above recipes make your symptoms worse it’s probably best to avoid them, discuss this with your dietitian. Add peppermint, glycerine and water to icing sugar and mix till fully amalgamated. Roll into a sausage shape and cut into equal parts, roll into a ball then flatten with a fork. Place ground rice, sugar and milk in a small non stick saucepan and whisk until smooth. Gently bring to the boil, stirring whilst cooking – the mixture should quickly thicken into a custard consistency.Continue to simmer over a very low heat for 5-6 minutes, stirring occasionally. Transfer to a bowl, cover and leave to cool of can be eaten whilst warm. Can blend cold pudding to achieve a very smooth consistency. Whisk ingredients together and fry small pancakes (approx 2 inch in diameter) in a small amount of oil until dark golden, serve with jam made from allowed fruit or honey. Alternatively omit the sugar and add herbs and serve with meat or fish from allowed list. When the vegetables have cooked add the noodles and stir fry, them add the vinegar, salt to taste and serve. Place the black pepper, paprika, ginger, turmeric and cinnamon into a small bowl and mix to combine. Place the lamb in a large bowl and toss together with the spice mix. Cover and leave overnight in the fridge. Cut the remaining food into small pieces/chunks and place in a slow cook oven or casserole dish along with the other ingredients and brown rice miso, water and cook for approx 21/2 hours till meat is very tender. Place in a serving dish with fresh herbs.